As an actor, Idris Elba (The Wire, Luther) has never shied away from challenging, thought provoking roles. However, a poster for the upcoming Netflix Original Movie Beasts of No Nation indicates that he may have taken on one of his most powerful roles to date. Portrayed as a "Savior," "Ruler," and "Criminal," Elba’s Beasts of No Nation character – named only 'Commandant' – will challenge the audience’s perception of right and wrong. He most certainly tutors and encourages the child soldiers under his command in the savage ways of war, but in a bizarre way also protects them and teaches them to survive in a conflict where neither side can completely claim the moral high ground. In his usual fashion, we can expect Elba gravitas and intensity to carry the film in equal measures. Beasts of No Nation chronicles the life of a young boy named Agu (Abraham Attah) drawn into an ambiguous civil war in an unnamed African nation when he sees his family massacred by a militia; the poster seems to indicate that the film will take a well-rounded look at the nature of these sorts of conflicts. The lack of specificity of the war portrayed in the film gives the proceedings a sense of timeless relevance, given the recent controversy incited by men such as Joseph Kony in Uganda, or the kidnapping of Nigerian schoolgirls at the hands of the Boko Haram just last year. Numerous films have come out over the years centering on the myriad conflicts of the African continent – see: Blood Diamond, Tears of the Sun, and Hotel Rwanda. 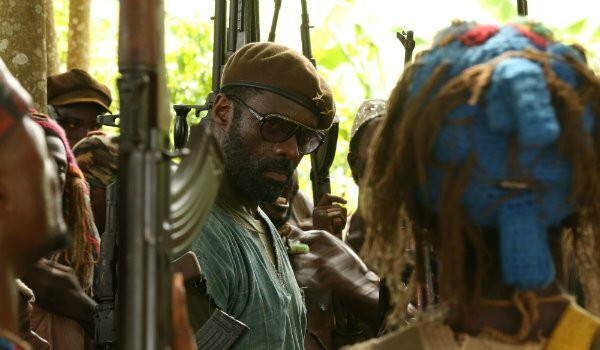 Beasts of No Nation seems to stand out from these previous endeavors if nothing else for its unflinching willingness to look at the brutal lives of these African conflicts and militias from an insiders perspective, rather observe these atrocities from the perspective of an outsider. Blood Diamond – at its core – focused on a family drama set against the backdrop of the Sierra Leone conflict, while Tears of the Sun saw its conflict through the eyes of a team of Navy SEALs, instead of the villagers they set out on a mission to rescue. Even Hotel Rwanda, which did center the true story of an African, used a protagonist who was not directly targeted by the atrocities that these sorts of conflicts but intervened and found a way to do his part. Written and directed by Cary Fukanaga (True Detective, Sin Nombre) – and based upon a 2005 novel of the same name – Beasts of No Nation will be released in theaters and Netflix on October 16, 2015.